Is Silver precious once again….? Up until four years ago, the price of silver (and Gold) had been so low for so very long that many investors never ‘bothered’ with it. In fact, our dear Mr Gordon Brown as Chancellor of the Exchequer decided in 2004 it was time to get rid of the UK gold reserves at record low prices….However, since then the price of both Gold, and particularly Silver, has gone from strength to strength reaching historically record high levels in the last six months. But this is not an economic review. This change in the price of precious metals will give precious metal jewellery a new lustre that had been missing for a very long time. In the UK silver jewellery had been under-appreciated for a very long time to the point that it was not perceived any better or more valuable than common Costume jewellery made of plastic and other man-made materials. Marjo Jewellery has a very broad range of plain as well as gem-stone jewellery in sterling silver. The classic style of the designs make this jewellery a perennial piece rather than a short term fashion burst. The important point is that as one searches for the proven designs that do sell, Marjo has a number of proven models. With silver being precious again, you will want to get those models right! 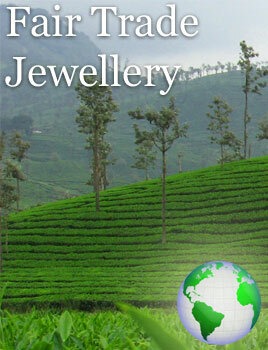 I know them to be a highly reputable import/wholesale company with many happy customers and employees.